Joan Steitz is the recipient of the 2018 Lasker-Koshland Special Achievement Award in Medical Science, one of the nation’s most prestigious prizes in medicine. Dr. Steitz was recognized in her award for her groundbreaking work in RNA biology and dedication to fostering women in the sciences. The Albert and Mary Lasker Foundation supports biomedical research through awards, education and advocacy. 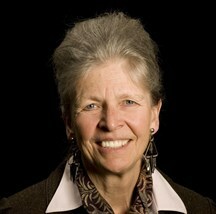 You can read about Dr. Steitz’s award in Yale News and The New York Times.